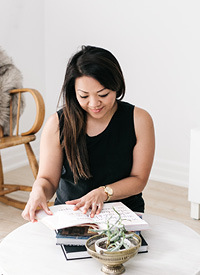 Weekend Goodness — Love On Sunday Love On Sunday | Interior Styling in Toronto and the GTA. My client wanted to include a few rustic elements so this is perfect. I'm thinking the reclaimed wood will add some depth and character to the space and with a few accessories it will look so beautiful. How was your weekend? Score any great finds?